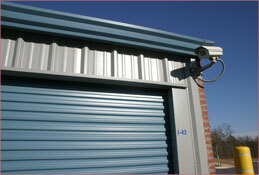 All Safe Storage is conveniently located on Danielsville Road in Athens, GA. If you’re a college student in need of extra space in your University of Georgia dorm room or apartment, we’re just 4 miles away from the campus. We’re also just 1 miles from GA Loop 10 and across the street from the Athens-Clarke County Fire Station. All Safe Storage in Athens, GA offers both standard and climate controlled storage units that are each fully secure and safe. The facility is always safe for visits or move-ins with 24 hour video surveillance, perimeter fencing, and controlled gate access. The Georgia weather can be unpredictable at times and with climate controlled units, you won’t have to worry about temperature or humidity damage. Our interior units are another option for those who want an additional layer of protection. For convenience, we offer drive-up accessible units for a quick and simple move-in experience. Drive right up to your unit door and you’ll have your belongings loaded or unloaded in half the time.